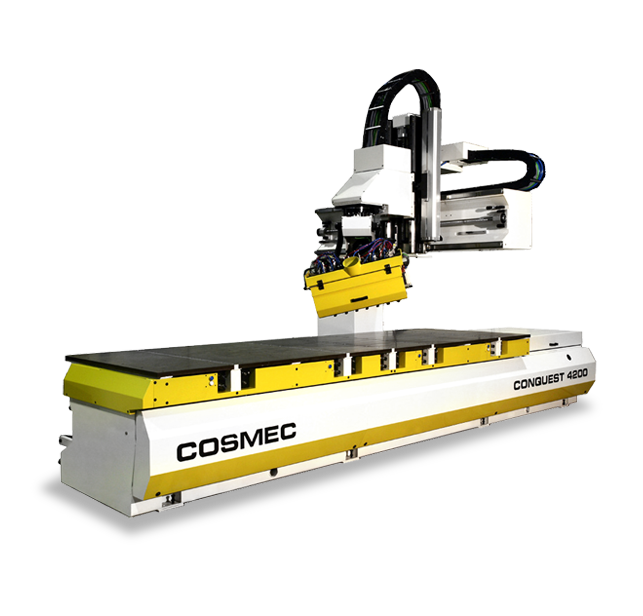 Conquest 3200 represents the perfect combination between a CNC router, with its solidity and accuracy, and a point-to-point machine, as far as speed and flexibility are concerned. 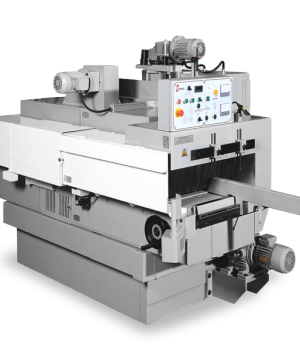 One of the main characteristics of this machine is the open frame (cantilever), which allows to load and to unload pieces of big size very easily. 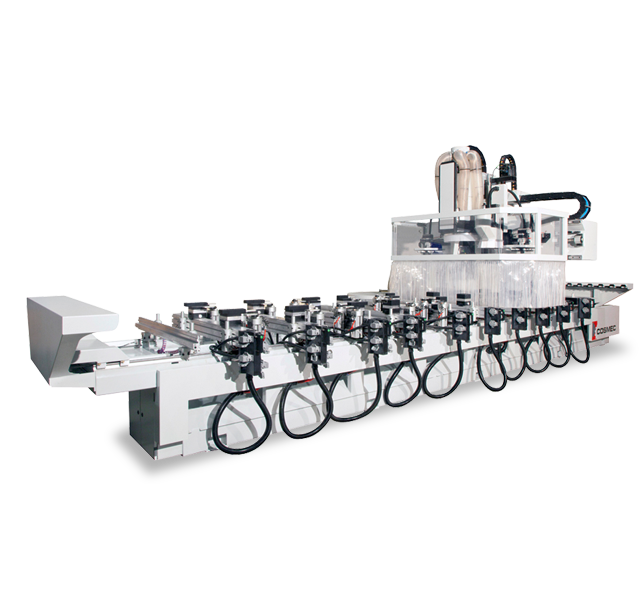 Moreover there is the possibility to equip the machine either with a canalized bakelite table or a set of movable bars and vacuum cups. 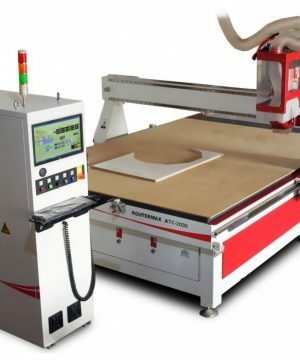 In both cases, the panel working tickness is 300 mm. 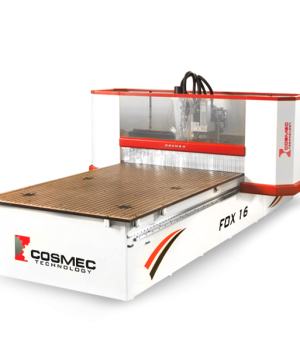 This machine is equipped with an 7,5 kW electrospindle and two automatic tool changers: a transported one, carousel type with 8 positions, and an auxiliary one, located on the frame column, with 2 or 4 positions, where all angular aggregates available on the market can be mounted. 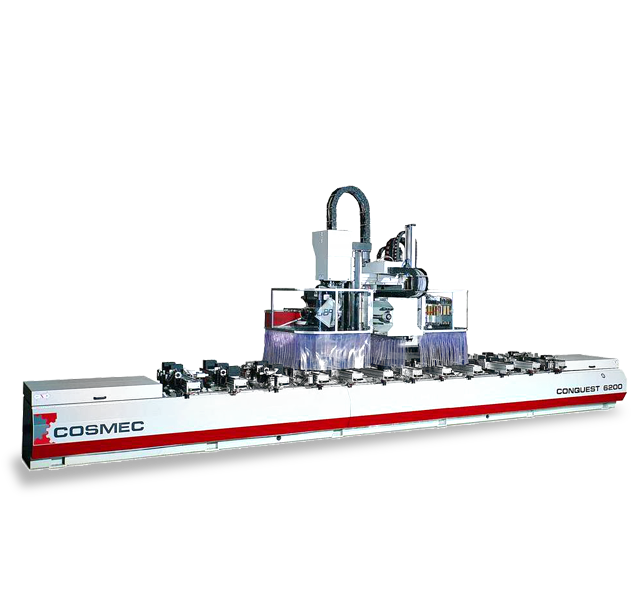 The variety of configurations of this machine permits to meet any special Customer’srequirement. 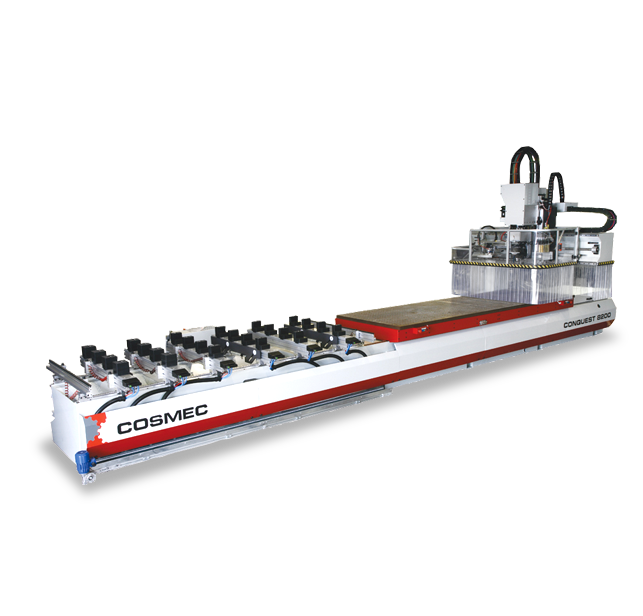 Together with the main electrospindle you can have an independent boring unit (13 independent vertical spindles, 4 horizontal spindles on the x-axis and 2 on the y-axis), a 2,2 Kw orientable unit for horizontal routing with one or two outlets, an orientable sawing unit up to 7,5 Kw with one or two outlets or as an alternative a second electrospindle with tool changer. 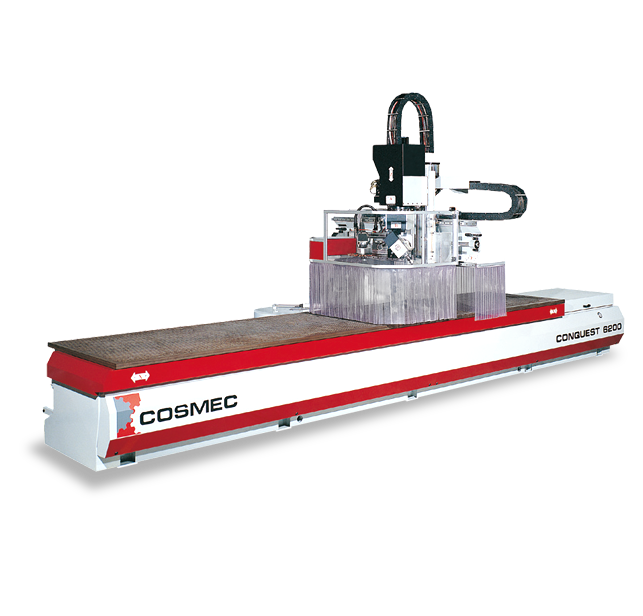 On request the electrospindle can be equipped with a rotating axis. 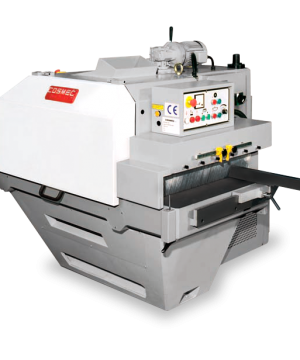 This machine is equipped with an electrical cabinet fitted out with an OSAI series 10 numerical controller, Windows interface and hand held pendant. Weight 5870 Kg. 6420 Kg. 7130 Kg. 8080 Kg.